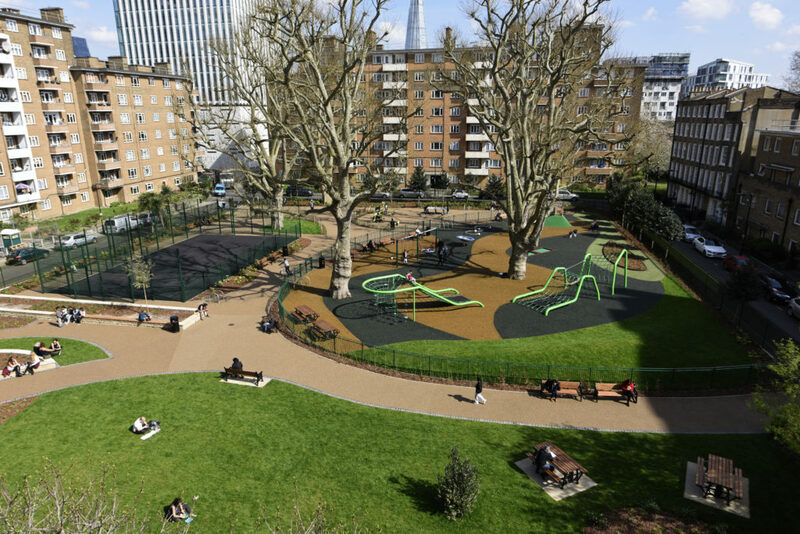 Having successfully provided surfacing for several park regeneration projects in South London including the award-winning Camberwell Green, PlaySmart have just completed works at Nelson Square. Waves of gold and green mulch perfectly complement the wider landscape and the bright green equipment provided by Kompan. The site is already being well used and will be a huge asset to the area, particularly during the summer! If you’d like advice on the best surfacing solution for your area, please feel free to get in touch! You can reach our experienced team directly on 01564 742 811. Alternatively, why not take a look at our new guide? 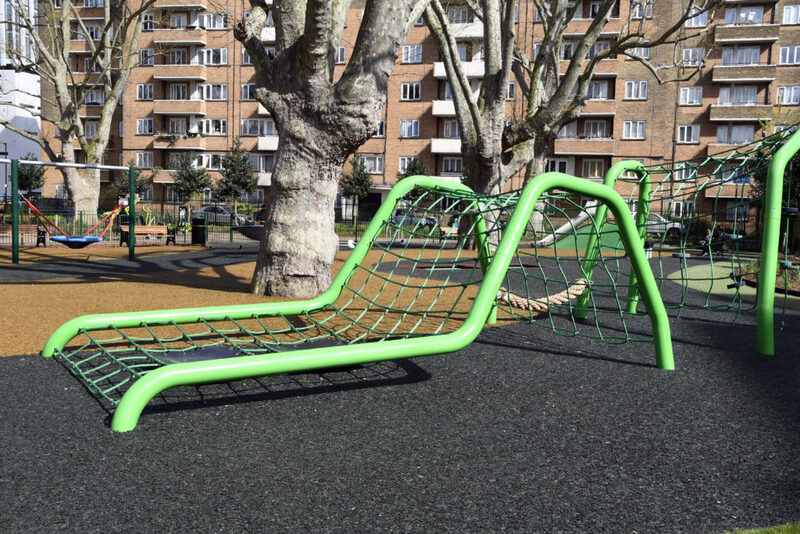 The guide features JungleMulch as well as our other playground surfacing ranges. Click below to find out more!